Are you thinking about getting dental implants to replace your missing teeth? If so, then we’re sure you’re full of questions. 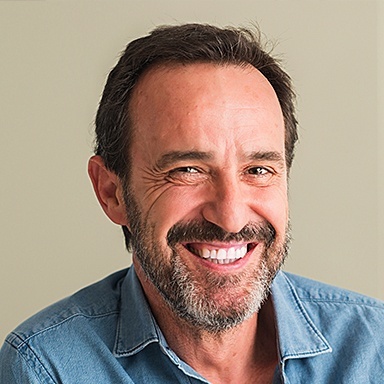 Dental implants have quickly become the premier way that dentists around the world rebuild incomplete smiles, but how do they actually work, and what is it like getting them? 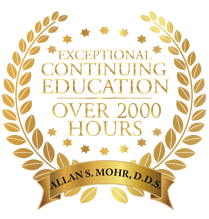 Below, our own Dr. Allan Mohr has answered some of the most common implant questions so you can better understand this state-of-the-art option. 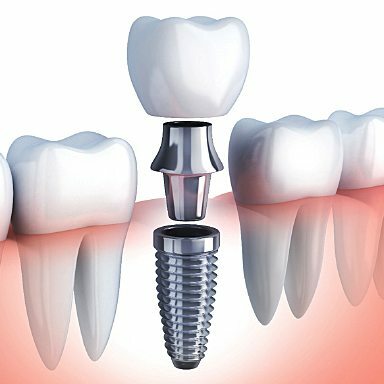 A dental implant is a treatment that replaces an entire missing tooth from root to crown. A small titanium post is placed into the jawbone, recreating the root, and this is used to support a variety of restorations that bring back the teeth. How do dental implants compare to traditional bridges & dentures? Traditional tooth replacements are designed to only bring back the visible portion of the tooth, or the crown, leaving them without a root foundation. This inherently makes them much less stable than natural teeth and likely to break down over time. Implants overcome this problem by restoring a tooth both above and below the gum line. This not only makes them extremely secure, but this two-part construction also has another benefit. Replacing a tooth root provides support for the jawbone from within, which can prevent bone loss, and therefore helps maintain the strength of the bite as well as the overall shape and appearance of the face. Implants are the only treatment that can do this! Implants can be used to replace any number of missing teeth, supporting a single crown, bridge, or even a full denture. 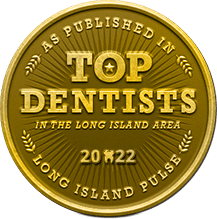 After having a consultation with Dr. Mohr where he determines that you are a good candidate for dental implants, he will refer you to one of his “dream team” of oral surgeons to actually place your implants into your jawbone. 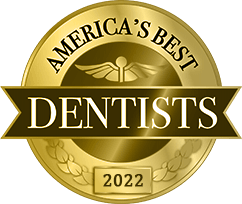 After you have had time to heal (which can take a few weeks to a few months), you’ll return to Dr. Mohr’s office to receive your new, custom-made teeth (you’ll wear temporary ones immediately after placement). This answer can vary from patient to patient depending on their particular situation, such as how many teeth they want to be replaced and the condition of their jawbone. In most cases, the fewer implants involved, the shorter the overall treatment time. A procedure involving someone with a healthy jawbone getting just one tooth replaced will probably only take a few months from beginning to end. On the other hand, if a patient is getting multiple implants and has a weak jawbone due to bone loss, the process might take closer to a year. Dr. Mohr can give you an expected timeline when you come to see him for a consultation. Does it hurt getting dental implants placed? 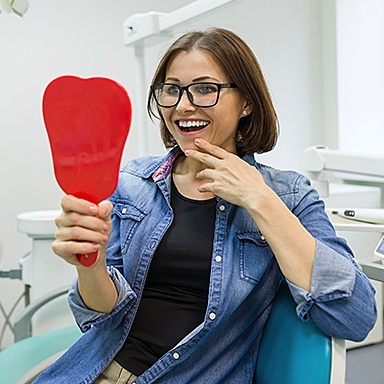 Thanks to modern techniques including local anesthetic and dental sedation, most implant patients report feeling little to no discomfort either during or after the procedure. 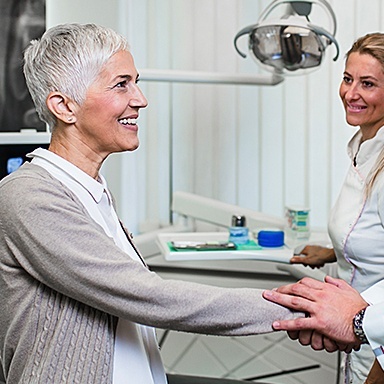 Because dental implants are able to help patients with varying degrees of tooth loss, the overall cost of the procedure can be quite different from person to person. Factors such as how many implants are going to be placed, where they are located, and what kind of restoration is used can all make the procedure more or less expensive. 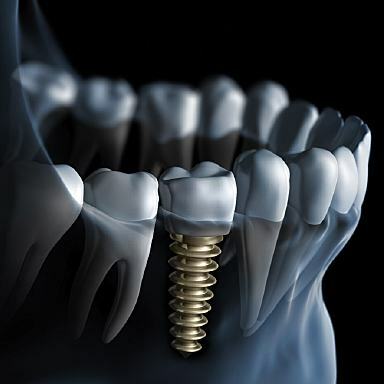 How much will your dental implants cost? 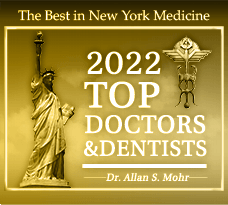 Dr. Mohr can give you a definitive answer when you come to see him for a consultation. At Smile Creations, we want our patients to have all the information they need to make well-informed decisions about their dental care. 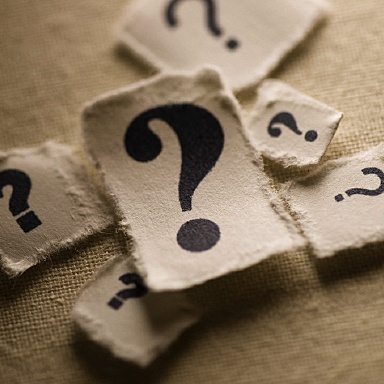 So, if you have a question that hasn’t been answered here, we invite you to call us any time. Or, if you would like more definitive answers to these questions concerning your specific situation, we recommend that you schedule an in-person consultation with Dr. Mohr. It will probably be the first step to you getting your complete smile back!